AWH Holiday Catalogue Blog Hop! Today some of the Art with Heart Stampin'Up! team girls are sharing some fun and fabulous ideas to inspire you from our brand new Holiday Catalogue available now until 3rd January 2017. Be sure to request your copy of the catalogue today! You have come from the lovely, Judy May. 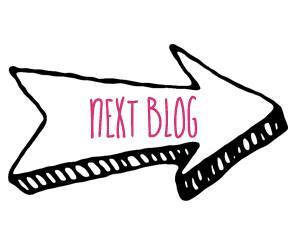 Blogs are full circles, so you can start hopping here and then at the end of each post is a link to the next. There is also a list of participants at the end in case of any broken links. 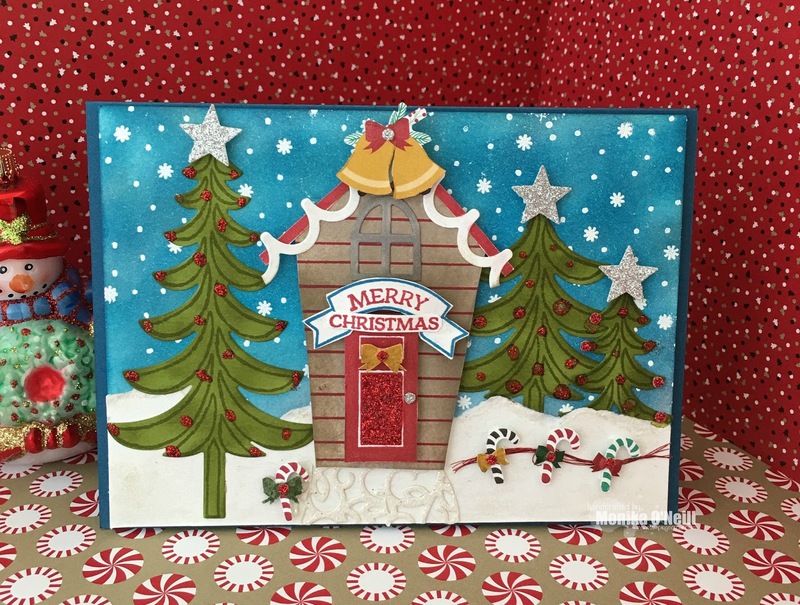 For my project today I am using the Sweet Home Bundle (Sweet Home Stamp Set & Home Sweet Home Thinlets Dies) and the Santa's Sleigh Bundle (Santa's Sleigh Stamp Set & Santa's Sleigh Thinlets Dies). By purchasing these items together you save 10%. 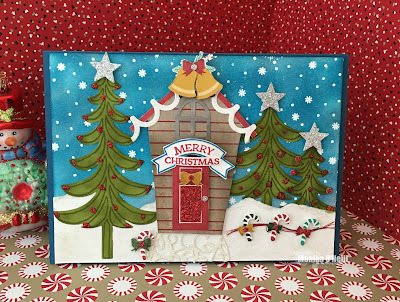 Monika O'Neill- monstampincorner.com- Sweet Home Bundle & Santa's Sleigh Bundle. Stampin'Up! Australia, 2016 Holiday Catalogue. 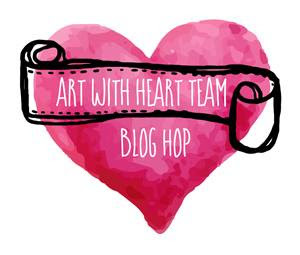 Let's keep this blog hop hopping. Next up we have the very talented, Rebecca Jacovou. Monika O'Neill - monstampingcorner.com - Cookie Cutter Bundle & Jolly Hat Builder Punch. Stampin'Up! Australia, 2016 Holiday Catalogue. Hi everyone, todays card is a fairly simple one but OH!! so cute. All supplies are from the NEW HOLIDAY catalogue. 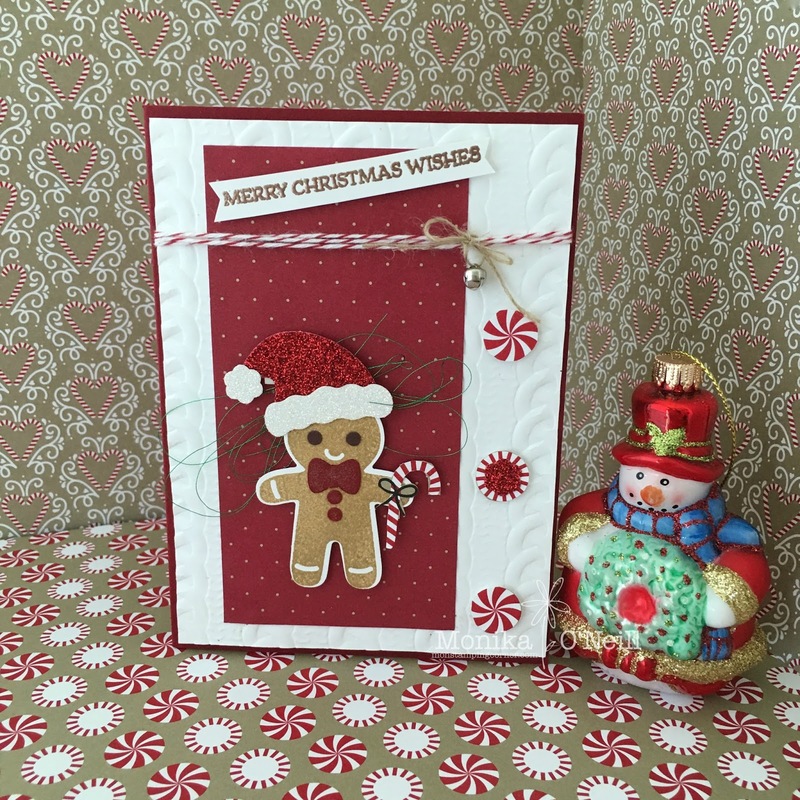 I used Cherry Cobbler card stock for my base card, Whisper White which I ran through the Bigshot using the Cable Knit Dynamic Textured embossing folder, I did use some retired DSP I had from last Christmas for the centre. Using the Cookie Cutter Christmas Bundle set I stamped the Gingerbread man using Crumb Cake, I punched out his buttons and bow tie with Cherry Cobbler and black for his eyes to make them stand out a little more, for his hat I used the Jolly Hat Builder Punch using Red glimmer paper and Dazzling Diamonds, I fussy cut the little candy cane he is holding and the round sweets on the side are from the Candy Cane Lane DSP (Designer Series Paper). Around the top I wound around some bakers twine and added a little silver Mini Jingle Bell with some linen thread peeled in half (made it easier to thread) I had some green metallic thread left from another project and added that behind the gingerbread and lastly the sentiment is from the Santa's Sleigh stamp set. 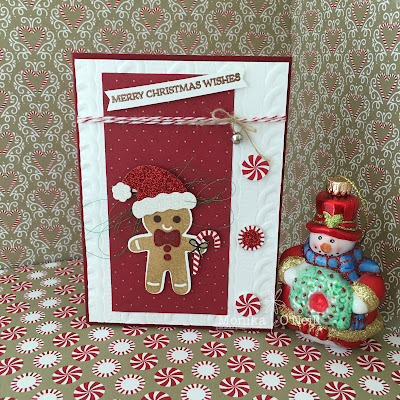 To add a bit of dimension to the card I used Dimensionals behind the Gingerbread man, and the sentiment. I hope you enjoyed todays card, I have listed the supplies below so for anything you need to make this card just click on the picture and it will take you to my store. If you would like a copy of the NEW Holiday Catalogue or the Annual Catalogue I would love to put one in the post for you just send me your details.